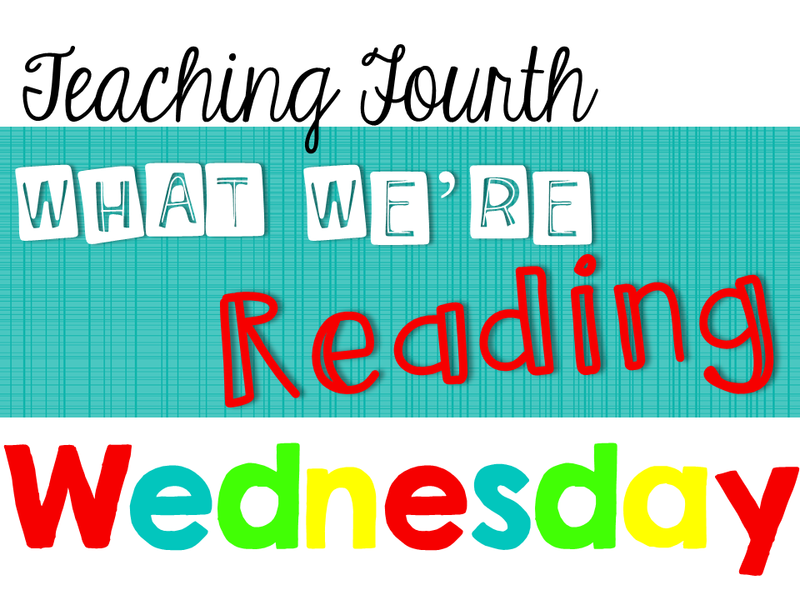 This week for "What We're Reading Wednesday," I want to share a Powerpoint that I used with my class. Reading is a part of every subject, even in grammar. A few weeks ago I had a surprise evaluation from my principal. 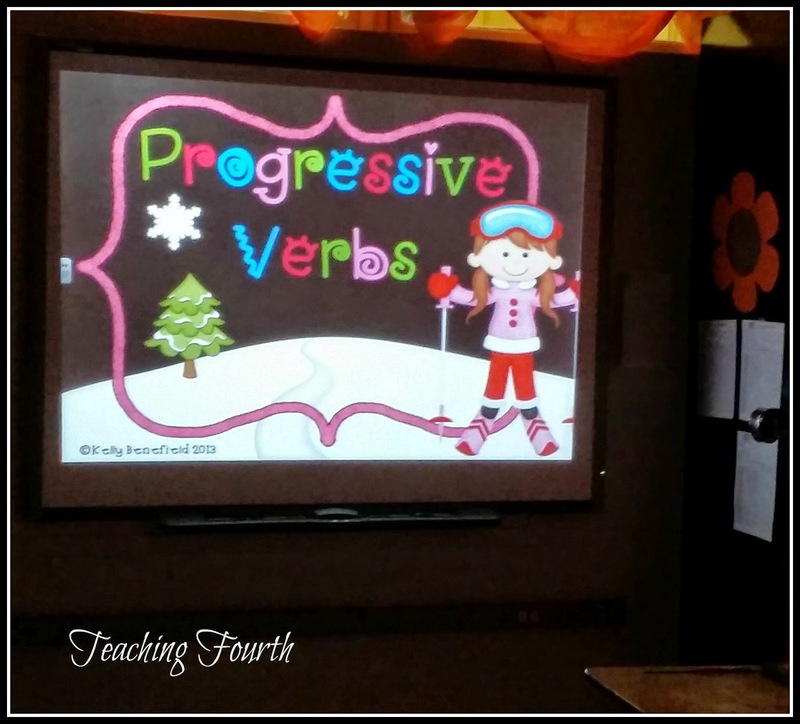 When she walked in, my students were learning about progressive verbs. 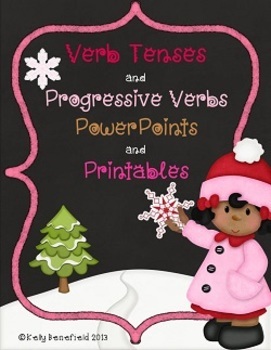 I was using a Powerpoint that I created to help students learn all about progressive verbs. My principal had a lot of positive comments about the lesson and about all of the learning that was taking place. She especially liked how engaged the students were throughout the lesson. Not only did my students learn a lot about progressive verbs, but they also had an opportunity to turn and talk, and be actively engaged throughout the lesson. You may be wondering why I included a Powerpoint on progressive verbs in "What We're Reading Wednesday." This Powerpoint includes many opportunities for students to read. 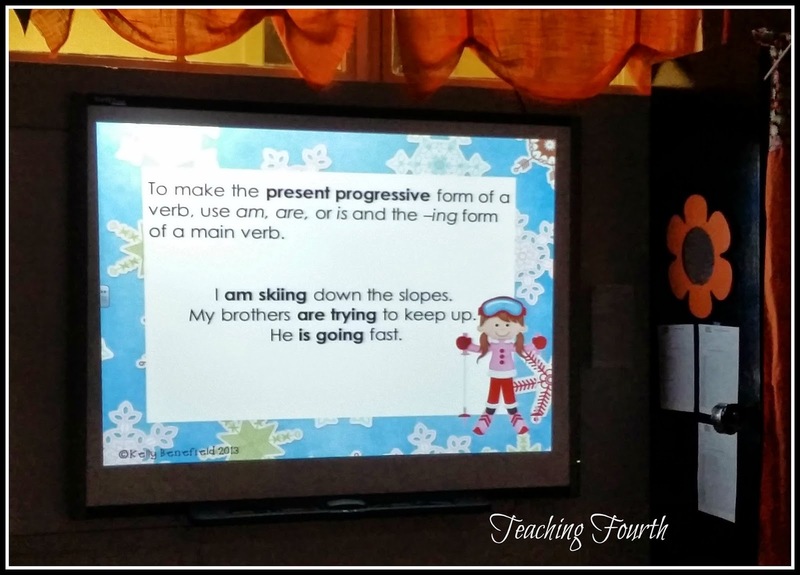 One suggestion that my principal had to improve this lesson was to let the students coral read the sentences. What a good way to get students reading even more! 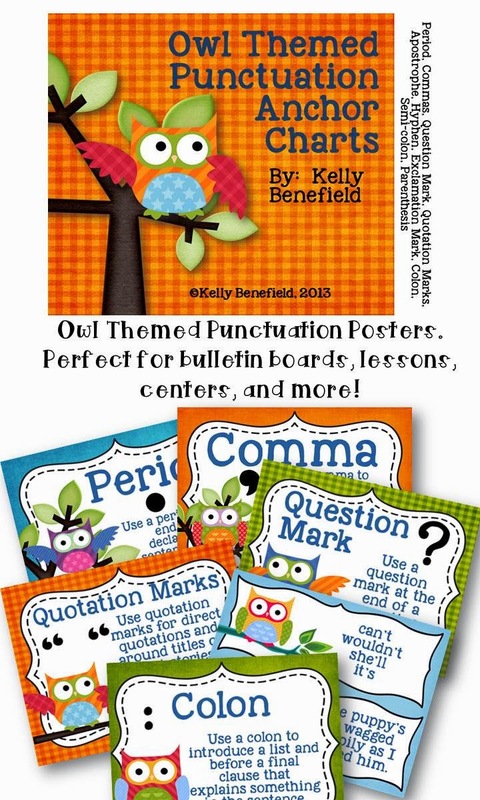 This Powerpoint can be found here in my TpT store. I hope you are having a wonderful week! I wish I were a better photographer so that I could show you the most beautiful sunrise and sunset that I have ever seen! Last week I attended a workshop with some teachers at my school. We had to travel over an hour to get to the workshop, so that meant that we needed to leave our school at 6:45. (Yes, that's a.m.) Well, I left my house at 6:30, still very sleepy, but as I topped a hill, I could see the most beautiful sunrise that I have ever seen! The colors were such deep reds and oranges that it took my breath away! This evening after picking my daughter up from softball practice, we shared a gorgeous sunset. Absolutely breathtaking! We stopped to take pictures, but our photography skills just couldn't capture the beauty of the colors. This week for What We're Reading Wednesday, I'd like to invite you to Upper Elementary Snapshots to read the post on finding details and writing summaries. This was a nonfiction reading lesson that my students seemed to really love. 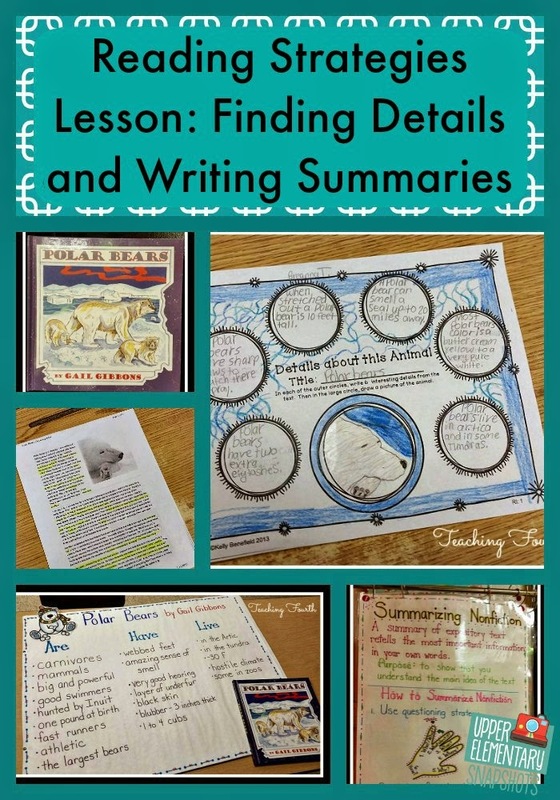 Just click here to read about this nonfiction lesson that uses Polar Bears by Gail Gibbons and a free nonfiction article on polar bears. 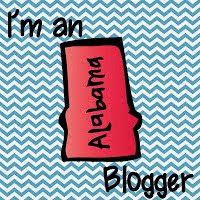 While you're there, be sure that to follow our blog because the wonderful group of upper elementary teachers that make up this Upper Elementary Snapshots have some fabulous ideas that they share every week.